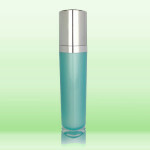 Plastic cosmetic containers can store creams, powders, liquid or gels. 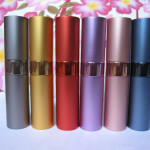 They are used in the cosmetic industry because of their sturdy body and affordable price. They come in a variety of shapes and sizes to suit the specific requirements of the manufacturer. 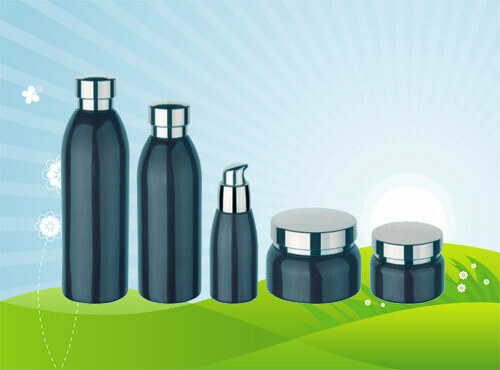 These containers are also available in different types of plastic compositions. Cosmetic containers are used for the storage of many different products. They can be small and portable, or large enough for bulk use. These containers can be used in commercial or domestic settings. Depending on the closure type, a plastic cosmetic container can be refilled or reused. Plastic containers are more affordable than other materials. They are common in the market because they are of high quality, and they can be easily mass-produced. Manufacturers are able to choose from different types of plastic. Most plastic containers produced now are recyclable and are made from sustainable material. 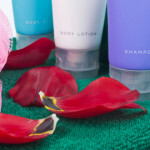 The most common type of plastic used for cosmetic containers are PP plastics. However these can also come in a more affordable PET plastic or a higher-end acrylic plastic. 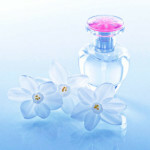 Acrylic plastic is usually clear, and resembles glass. This type of material has an advantage over glass as it is not prone to breakage. PP plastic is more affordable than acrylic and it is usually not clear. 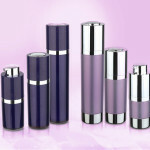 It is possible to get plastic cosmetic containers in different colors, depending on the material. PP plastic can be fitted with an aluminum sheet or painted with a coat of matte or glossy color. This type of plastic can also be pre-colored, before the bottle or jar is shaped. Acrylic plastics are transparent and can be tinted. These containers can be fitted with a sticker label. PP plastics can have silk-screen labels printed on the side of the container before they are filled. 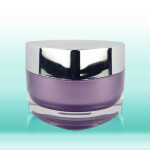 Although these are usually round or a tube-like shape plastic cosmetic containers can come in different styles. PP plastic containers can be molded into heart shapes, character shapes or square shapes, to suit the style or marketing of the cosmetic to be distributed. Cosmetic containers vary in type, depending on the product that it will hold. The most common containers are in the form of bottles or jars. 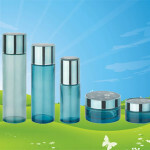 Bottles can store liquid or lotions, while jars contain creams, gel or powder. These types of containers also come in pen-tube styles for thicker liquid like foundation, primer and other like products. 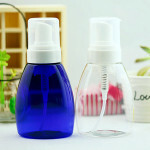 Plastic containers can be used with attachments such as a pump or a mist sprayer. These are usually attached to acrylic or PP bottles with narrow necks. The attachment collar needs to fit in to the bottle neck which should allow for a screw-top. These types of bottles can also be made air-tight if the collar of the attachment is non-removable. If the plastic cosmetic container does not have an attachment, it can be fitted with a cover or lid. These covers are usually made of the same type of material as the container. However, they can also be made of aluminum or aluminum coated plastic.